Sci-MX Ultragen 100% Whey Protein is a blend of the best quality whey concentrate and isolate that has been micro-filtered to ensure maximized absorption for faster muscle size increase, for added definition and muscle strength and helping muscle recovery as well. Furthermore, it is a special formulation of magnesium, zinc, vitamins B3 and B6 which are key elements in cell division and protein metabolism. The science-proven muscle building ingredients of Sci-MX makes it a primary choice for serious athletes, regular gym enthusiasts and bodybuilders. When mixed, it tastes like a shake and has better coloring than many other protein shakes out there. When it comes to the ingredients, it is top notch except Whey Gold that could contain high isolates proportion. The scoop is big, thus you could expect the powder to rapidly deplete, which could be its biggest drawback. 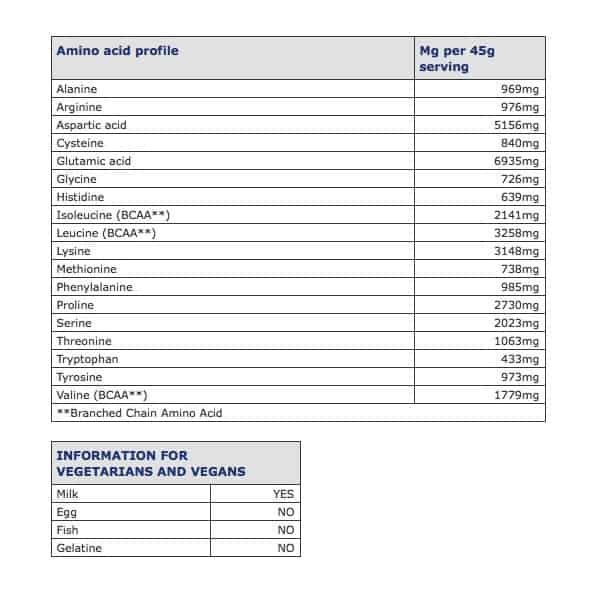 Moreover, the breakthrough enzyme called Aminogen pulls up the BCAA retention by a whopping 250%, muscle nitrogen levels increase of up to 32% and an overall increase in amino-acid plasma levels by 100% to help in the recovery of deep muscle-tissue and stimulate fast muscle development. When using Sci-MX Ultragen Whey Protein, expect muscles to grow fast. It is best for use before and after a workout. This product is highly recommended by personal trainers and personal athletes as being the best whey product available in the market these days. Moreover, it is also voted as the best tasting whey protein supplement because of its delicious flavors. It also works great when added to smoothies. It could definitely do its job and fill up muscles fast. This product comes highly recommended as users buy it again and again.